Posted by Shawn Kriewaldt. on Thursday, February 4th, 2016 at 12:50pm. We know you’ll love this place as much as we do. We bought this condo as our first home when we were engaged to be married and had just graduated college. We started looking for houses and couldn’t find anything we fell in love with. As we expanded our search to condos, we very quickly warmed up to the idea of not having to maintain a yard or shovel snow with our busy schedules. As soon as we walked into our condo, we fell in love with the luxurious design. 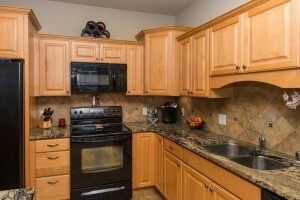 It was the perfect size for us with an open layout, spacious master suite, and had beautiful finishes like the gorgeous granite counter tops and tile in the kitchen and bathrooms. After living in our home for over five years, we have grown to love it even more. 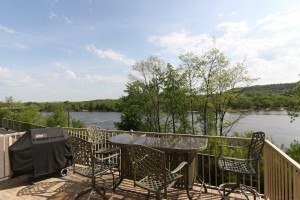 The amazing shared patio is a perfect place to sip on wine and grill steaks while overlooking the Wisconsin River. Even our private patio is perfect to bask in the sun on a summer afternoon and read a book. The building is located perfectly with a grocery store, two restaurants, a bank, a park, and a library, all within walking distance! We are surrounded by great neighbors but also feel that we have enough privacy. We’ve made many memories in our first home including regular walks around the neighborhood or to the nearby park, puddle jumping with the kids in the parking lot, and planting flowers to display on our private porch every spring. We would often walk to the grocery store to grab a few things, swing by The Blue Spoon for dinner, or even stop by the movie theater for some delicious popcorn. We really loved that we could spend time making memories and not have to worry so much about the “chores” involved with home ownership. After we started a family, we realized that we would eventually outgrow our beautiful home. After having our second child, we knew it was finally time to move on. It is very bittersweet for us to move on to a different home but we hope you love our place as much as we do! 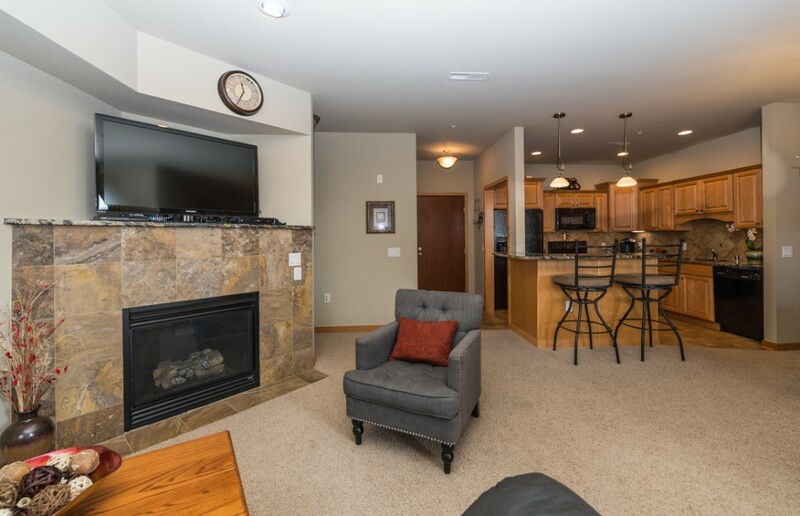 To schedule a private tour of this beautiful condo, please contact our office at 608.729.7351.